“We’re functioning automatic / And we are dancing mechanic” sang Kraftwerk in 1978, in an album, The Man-Machine (Kling Klang), that more than three decades later is still reflecting the complex union between technology and society. In ‘We Are The Robots’ began saying: “Ja tvoi sluga, (I’m your slave) / ja tvoi Rabotnik (I’m your worker)” two maxims that some enlightened into the world of technology could have in mind at the moment, with the exception of changing the “worker” by the “buyer”. The exception is in demand which has just asking more than becoming a robot series, does not want to be a replicant wearing a new technology as the new smart watches unless these are gifted from customization and design optimal. Each has his mantra, I see a smart watch (or smartwatch remaining more techie in English) and comes to my head song ‘Relies on your machines’ Aviador Dro: “get it is only a matter of investigating / must not doubt is only a matter of trust.” (…) Trust your machines, don’t give the world backwards”. A dedicated team working overtime, the area of r & d of the company working in all these years to achieve other current consumer product become rather specialized and then the men in black marketing. All of them rely much on its machines. Small machines which are operating systems, with rumors of dual core processors that are then not met, with more gigahertz that some computers had on their processors until two days ago, displays OLED looking inch right in order to not take a microtelevision at the wrist and up to tiny cameras for possible video conferencing. But among so many advanced features the design remains stagnant. It is a trust your machines but don’t forget that is a complement of dressing. It seems that it is crucial that the clock be synchronized to mobile or tablet, which has the operating system Android 4.2 and not previous versions. Until recently no one imagined having to read a Tweet on the wrist or a mail. Now the needs are unmet because new smart clock does everything we want. The same thing will happen with the design. There will be new watch models seem to whom something perfect and those who do not see more than a heart rate monitor which receive unwanted notifications. 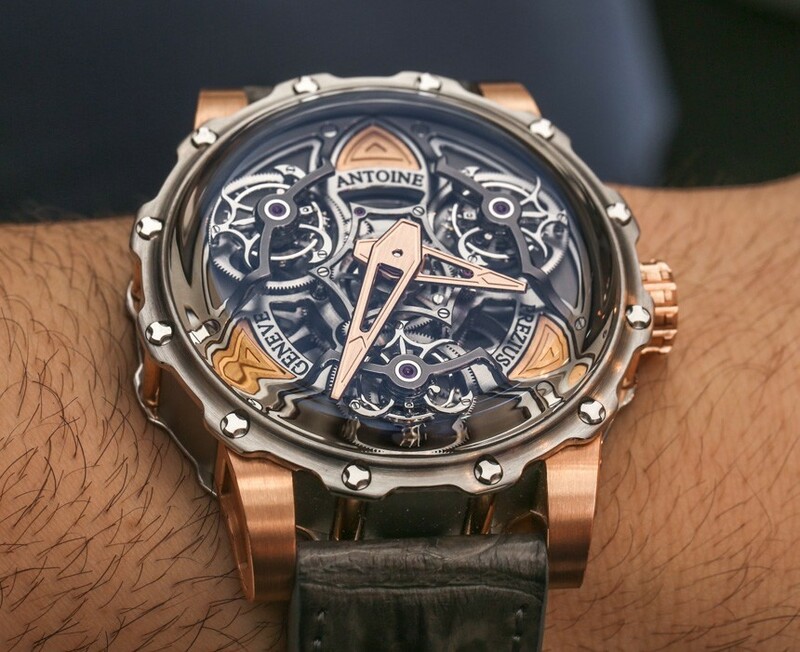 Intense market studies that will fact marks to wrap will be given to its latest Darling results that we now see in prototypes and finished models without the attraction of watches that seek to replace. After the Google Glass would also have thousands of previous nuances and in the end they are Tumblr meat with white men making away the temptation of wanting a glass as well. Expensive development in clocks to decorate tumblrs with photos of “prestigious” technology-related professionals. To return to the example of the Google Glass shower technology companies should place its focus outside of your niche. Very well is that the press technology is feed back talking about this kind of watches while self-portrait is made but the mass audience is who is going to buy a large scale. Marks that appear to be tucked in the race for technological watch – Samsung, Google, Apple and Sony, – above all would do well to take a look at what men and women have as subscribers the big names in watches of all life. They are people who really will create massive level trend and who will serve to generate interest in some watches that would have the campaign made without opening the mouth. They take it, others will want to buy them when trying to emulate their idols, or to people that convey an attractive and desired lifestyle. The aspirational advertising It is the key to sell to another kind of audience that not only tempted by new technologies and to think why change your classic watch. Cartier know surrounded by all things associated with luxury and never think in promoting a new watch as they make technological brands. This watch is not a new mobile or a tablet that compete against each other, It is a style that would seek to replace lifetime watches. The message must be very different in the sale. The key is to generate the desired message. It is not only having the product with the best operating system and its hundreds of gigahertz but give a context that is sold only to that product. Here it matters more the means than the end. Give you your brand, and security that is a brand better than the others, give you the tendency to compare your clock with other clocks. They do not give you a watch, you’re the gift you offer to the birthday of the clock. Delivery of the base that we don’t know what we want. I before yesterday did not want a tablet and now not soltaría my Nexus 7 or crazy. The same happens with the trends. There are those who live outside of these, in his hut of the mountain, happy, isolated from the world and talking to the mirror. There are days in which feels envy by someone as well (more and more). But there are also other great party that fails to isolate the constant pulse that is subjected constantly. Trends in technology, fashion and lifestyle. Call it x but the contagion is there and only have to know how to sell it. Nostalgia boom brought us again the Casio’s fashion in 2010 and has been easily two years kicking until finally it seems doomed to exile of any wrist. Those who watch such refuse may end up having one as if had wanted it lifelong. How is where manufacturers are the key. Design is important, the features here but also the fundamental aspect is that they sold us a striking lifestyle associated with these watches and we will forget us if they are square or round, if they are orange or blue. There will be time take the Golden iPhone or white iPhone and required customization to generate even more sales between those who seek to differentiate themselves from the rest or have the latest. 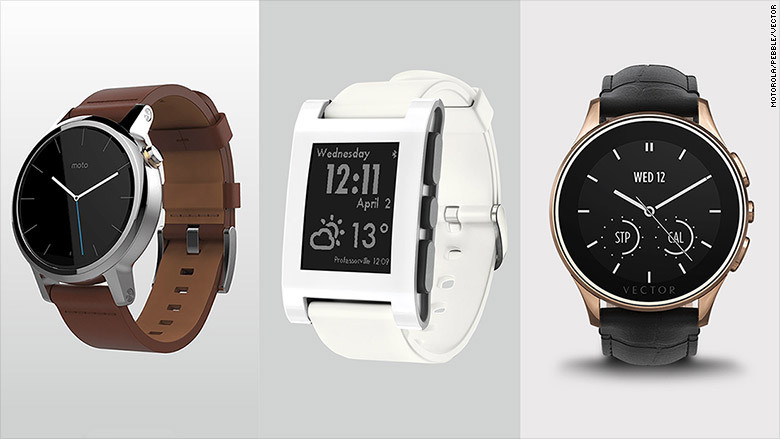 In terms of pure design, it is clear that it is difficult for smart watches to seek the more classic style. A great watch with a Swiss ball and the best materials will always exist as vinyls and CDs will cope with any possible MP3. We talk about different audiences and different objectives in each case. This type of new clock has a great output if it is associated with fashion brands you are looking for modernity in a sporty style associated with a lifestyle. Fashion is increasingly growing more interest in sport and the type of tissues associated with this leading collections and trends that seem to outputs of a gym but still so are uploaded to a gateway. There are designers who have managed to place itself in the forefront of this change, such as Stella McCartney and Alexander Wang. In addition to Prabal Gurung or Y-3, among many others. Sport has entered fashion associated with a desired lifestyle and smart watches more sports in bright colors and shapes could make the function of the sports typical of Nike with a party or a single suit than in the doll dress. The brightness accomplished miracles. In recent years Michael Kors made of gold with its line of watches using only different metallic for a few designs that many considered a tacky. This tacky led him to be the man chosen by Time magazine as the man of fashion, a step to the select list of the new billionaires from Forbes in 2014 will be followed as well. Together with Michael Kors a long list of brands that have opted for the metallic most striking to tint their watches. From Marc Jacobs to DKNY. And then came the well sold trend generated by the desire of many to have a watch of this type. Own Casio to which reference was made before again converted into gold to show that either turns with art or better stay home. A smart gold watch? Why not? Public have demonstrated. And if it is not with brightness that, at least, have very bright colours. In the race to achieve the best intelligent clock we again see the usual protagonists. 2013 seems to continue to be the year of transition until in 2014 may come from Apple or Google designs. 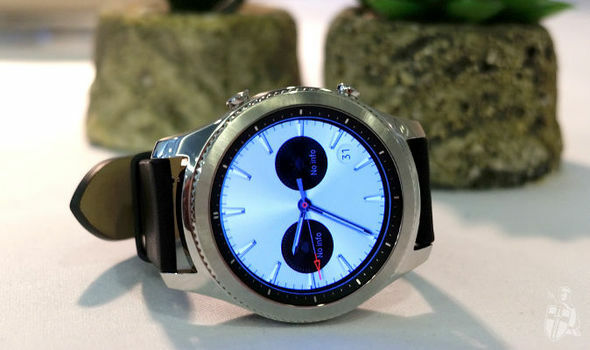 Samsung has been the second mark in move with their Samsung Galaxy Gear competing with Sony Smartwatch 2. By the time designs we’ve seen come to the sporting aspect. Samsung wins the game to Sony in visual appeal with the mere fact of not having taken a current iPod and have him post a belt but opted for a single integrated piece. 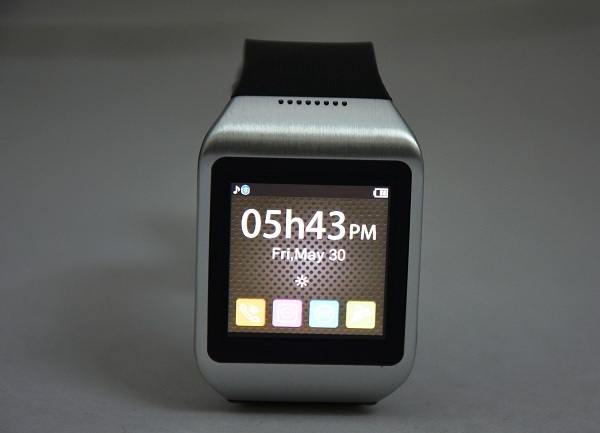 In the Samsung Galaxy Gear added a colorful color and the metallic part in the field of large size. Lack the rest of steps: the creators of trend, the context favourable for sale and the generation of that need which could convey that a smart watch is something special and not one whim. Business monetize the chimes has everything ahead to defend this great hype that created either eaten in solitude among older designed cakes.